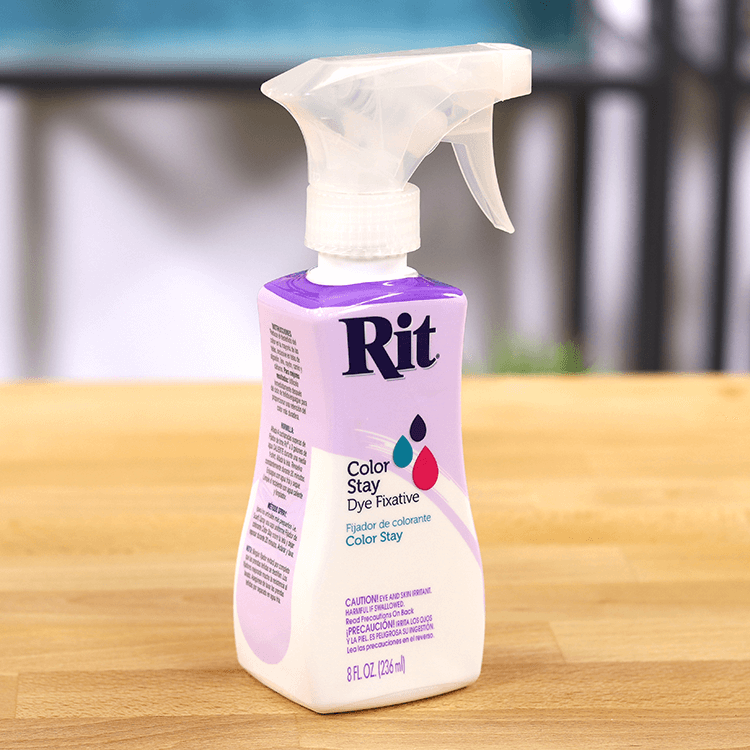 Rit ColorStay Dye Fixative greatly enhances the color retention of items dyed with Rit dye. Use it after dyeing but before rinsing to enhance the color and prevent fading over time. It works on cotton, linen, silk, wool, and rayon. You can also use this Rit Dye Perfection Kit which includes color remover, dye fixative, and a spray nozzle. For small projects, spraying the fixative directly on the fabric works best. Attach a spray trigger or pour it into a spray bottle. Spray the dyed item liberally with the fixative. Let it sit for 20 minutes before rinsing with cool water. 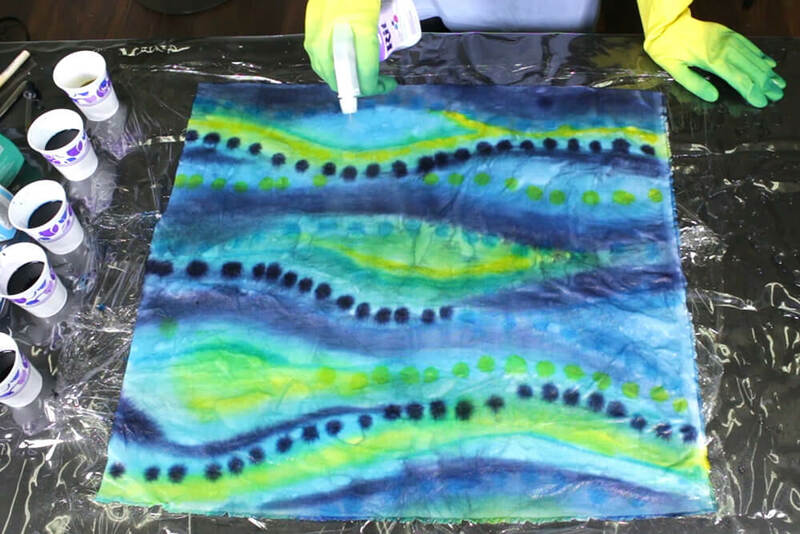 This is also the best method for tie dyed items or other dyeing techniques where you don’t want the colors bleeding too much before rinsing out the dye. 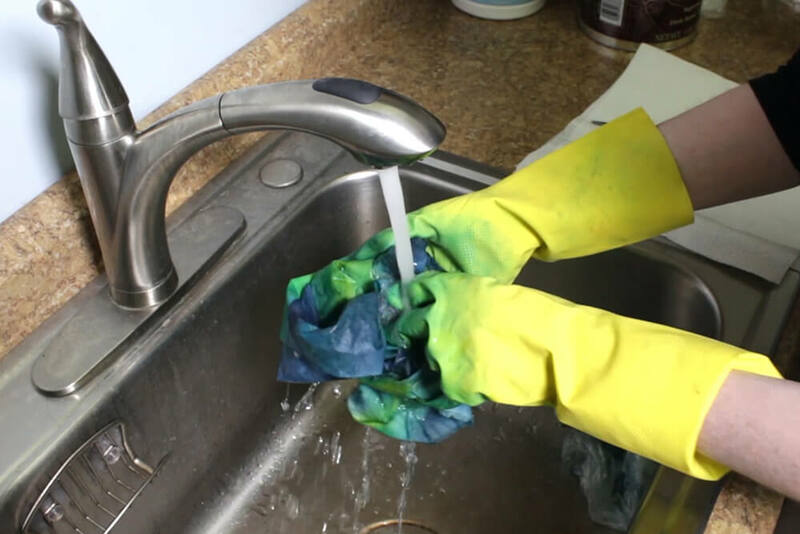 For larger, solidly dyed items, use the sink or bucket method. Add 8 tablespoons of fixative for every pound of dry fabric to 3 gallons of hot water. Add the dyed item to the bath and stir occasionally for 20 minutes. Rinse with cool water. After rinsing, the item can be washed with warm water and with a mild detergent. Check out our selection of Rit dye and supplies. 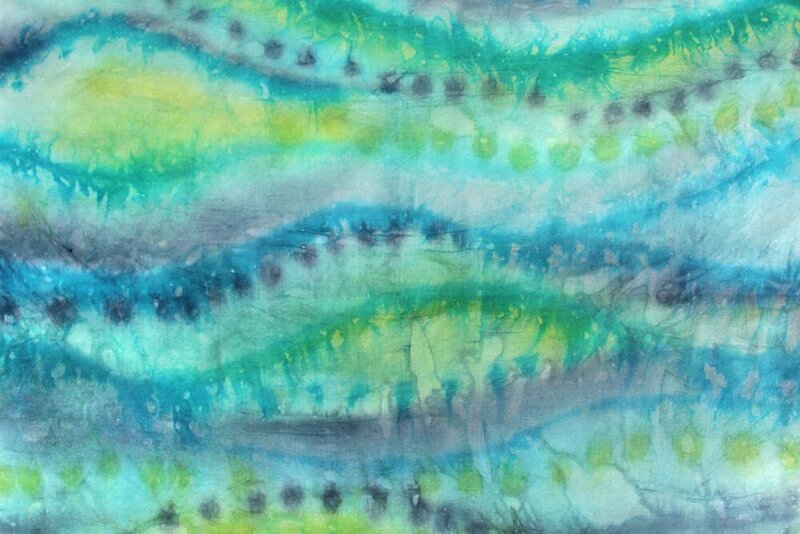 Click here to see 8 ways to dye fabric. Im dying white cotton wash cloths and hand towels to charcoal grey what would be the best step method for using colorstay? BEST ANSWER: Either way would work. The bucket/sink method would be easier if you have a larger quantity. Spraying is easier if you just have a couple to do.